We design and manufacture production solutions that utilise industrial automation and robotics for the needs of different industrial sectors. We deliver individual production machines and comprehensive production automation systems tailored to our customers’ purposes. We manufacture our automation systems from components produced by leading device manufacturers (SMC, Omron, Festo, Siemens). We grant a 12-month warranty on all new equipment. Automating the different phases of production makes it possible to increase production volumes, reduce turnaround times, improve operational reliability and achieve a cost-efficient and consistent production process. 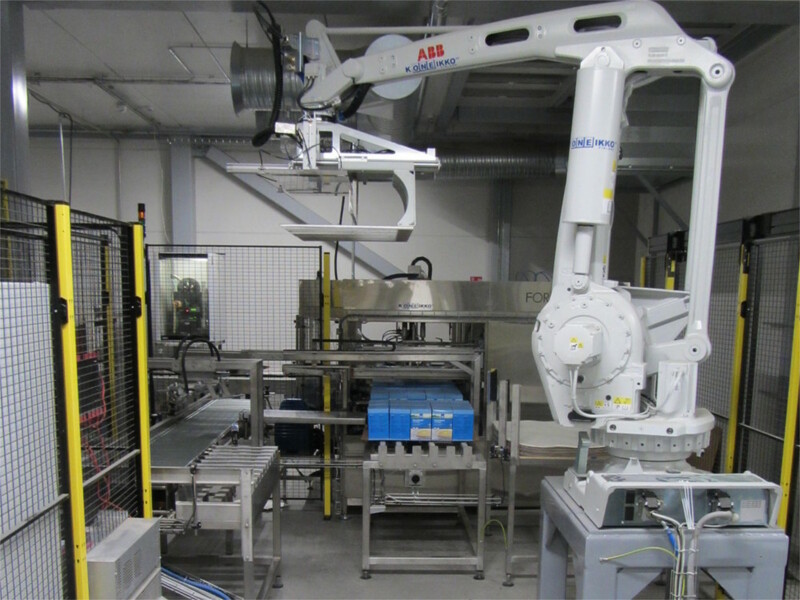 Piece product palletising robots and machine vision robots for various applications, such as attaching specialty caps. Automatic bucket, bottle, canister and tub filling and dispensing machines for liquid, powdered and granular materials. Labelling equipment for labelling product packages of varying sizes and different materials, such as paperboard boxes, glass bottles and plastic canisters. Versatile industrial conveyor systems for transferring piece products and pallets. Automatic lid sealing machines for materials, such as plastic snap caps, metallic paint bucket lids and lids for aluminium tubs. Pallet unloading equipment for jars and bottles of different sizes.